Our cars so often become our “babies”. We take pride in them, polishing and shining in order to keep them in perfect condition. It’s exciting to make that new or used car purchase and start planning the final stages of bringing it home. You start to imagine life with your new vehicle and how good you’ll feel behind the wheel. It is this love of all things automotive and the joy our cars bring to our lives, that makes transporting them home safely all the more important. Find quotes for automotive transport today! Get 3 Quotes for automotive shipping. It’s free to request quotes. Car/Sedan: As the largest number of vehicles on our roads, sedans and hatch backs are the most common vehicle request to have moved both in metropolitan areas and interstate. Common reasons for requiring shipping is a recent purchase of a new or used vehicle, moving interstate or the relocation of an unroadworthy or undriveable car. 4WD: A Four Wheel Drive’s height is greater than that of a standard sedan. This needs to be taken into consideration when shipping this type of vehicle, as height restrictions exist across Australia for trucks and trailers. Therefore, if a double deck car carrier is used then this may need to be a drop deck in order to accommodate for the increased height. Limousine: As the longest cars on the road, the limousine comes with its own challenges in regards to auto transportation. Due to the additional length, a semi-trailer is usually required as they are longer and can safely accommodate a limousine. A tilt tray can be used to drive the vehicle onto the trailer. Station Wagon: These cars are of the same height as a standard sedan but are much longer. This will impact what trailer is able to take the freight and how many vehicles can be carried in the one load. This will impact car transportation regardless of whether it is on a double deck car carrier, drop deck or flatbed trailer. SUV: With a similar build to a 4WD, the Sports Utility Vehicles are also impacted by the height restrictions when travelling on a car carrier trailer. Drop deck trailers may be necessary and often these vehicles can’t be placed on the lower deck of the trailer. Utes: Whether it’s a single, twin or dual cab Ute, they’re generally longer than a standard vehicle and the larger twin cabs are taller and bulkier. This influences how the vehicle is shipped and which car transport company has the type of truck and trailer to safely fit this bulkier automotive freight. Vans: There are a number of types of vans available on the market, including long wheel base, short wheel base, Mini Vans and panel vans. 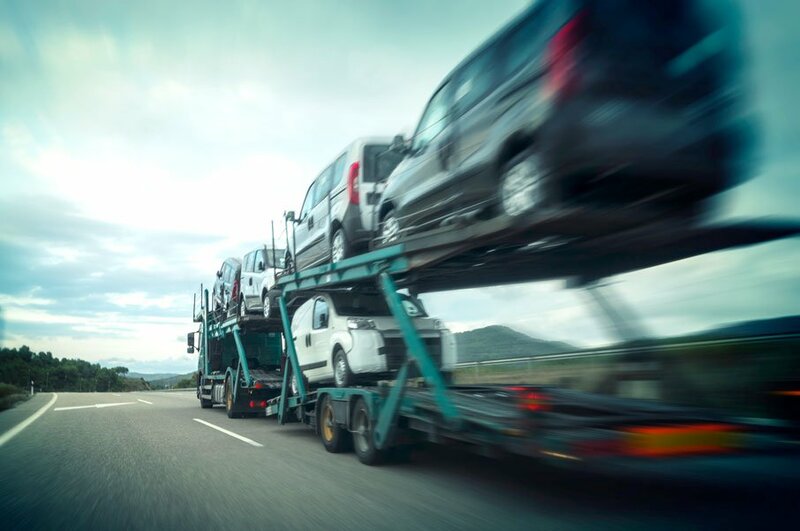 Where as most vans can be placed onto a car carrier trailer, the long wheel base van is substantially larger and may require auto transportation by a flatbed trailer via loading ramps. A tilt tray is fine too, as the van can be hoisted or driven onto the flatbed, so it doesn’t have to rely on loading ramps. Ambulance: Often the reason for moving ambulances is due to the vehicle not currently being roadworthy or because it is undriveable. With similar dimensions to a long wheel base van, ambulances are an oversized standard vehicle and this means that a flat bed or single deck trailer is often preferable due to the height and length. Postie Bikes & Scooters: Often in transit a scooter or postie’s bike will be transported in a crate and this means that it can go on the back of a rigid truck or a flat bed. If there’s no crate, a truck or trailer with tracks to keep the scooter upright and secured during transit will be necessary. Hot Rod: Hot rods and classic cars carry a strong emotional attachment and sentimental value for owners of these beloved vehicles. When fully restored in pristine condition, Hot Rods can also carry a high price tag. Vintage cars can be shipped by specialist auto transporters in order to protect your precious and priceless investment. When it comes to getting quotations and costs to ship your vehicle, the FreightQuotes online tool is a fast, free and convenient alternative to researching on your own. You simply complete the quote request form and this request is sent to the car transport companies registered with our website. Three of our registered auto transporters will contact you directly with quotations based on the information you’ve provided in the form or included in the description field. There’s also a free option to upload images to your request. Simple, quick and convenient. Vehicle transport is available Australia wide. This includes interstate, regional and metropolitan car freight covering all states and capital cities including Adelaide, Brisbane, Perth, Darwin, Melbourne, Canberra, Hobart and Sydney. You can also find caravan transport and transportation for relocating boats and motorbikes.